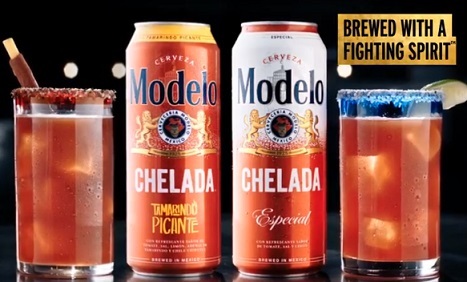 Modelo USA showcases, in a new commercial, the Modelo Chelada Especial and Modelo Chelada Tamarindo Picante, highlighting that “Authentic ingredients and traditional flavors give Modelo Cheladas a taste true to their roots”. “The fight for authenticity is rooted in heritage. A true Michelada is made with Mexican beer and traditional flavors. For an unrivalled taste, Modelo Cheladas, brewed with a fighting spirit,” the voiceover says on the 15-second spot, scored by Ennio Morricone’s composition “The Ecstasy of Gold”, used in the 1966 film “The Good, the Bad and the Ugly”. Modelo Especial Chelada Beer is described as “an authentic ‘cerveza preparada’ brewed in Mexico and blended with the refreshing flavors of tomato, salt, and lime.” Introduced in 2017, Modelo Chelada Tamarindo Picante is also “an authentic ‘cerveza preparada'” made with beer, tomato, lime, and salt, but with unique flavors of sweet tamarind and spicy chipotle peppers for a special taste, that can’t be unrivaled. Founded in 1925, Grupo Model is the leader in Mexico in beer production, distribution and marketing. Its brands also include Corona, Pacífico, Victoria, Negra Modelo, Estrella, Modelo Light, and León.